From the Pinterest feeds that I am following it would appear vintage style tags and labels are among some of the most highly sought after pieces among scrapbook enthusiasts, mixed media artists, card makers and people who add extra special touches to their gift wrapping. 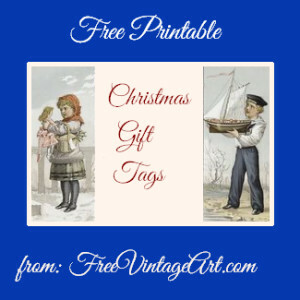 This section of Free Vintage Art features a collection of copyright free printable tags and labels. It includes a mix of vintage tags in their original form as well as a few that we have created for our site visitors. They are all in the public domain in the United States. If you don’t see exactly what you need here, perhaps consider making your own printable tags and labels. 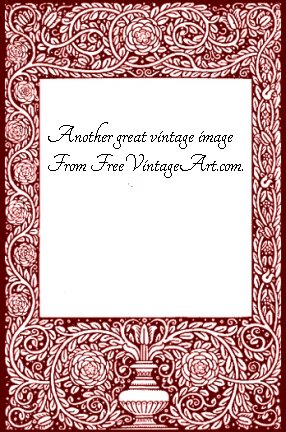 Between Free Vintage Art and our other site Reusable Art we have thousands of vintage images that could easily be turned into one of a kind tags. A pair of printable boy and girl Christmas gift tags featuring children with their new toys at the beach. They are both dressed in matching sailor outfits. Reusable art may be my other site but these gift tags reuse art too. 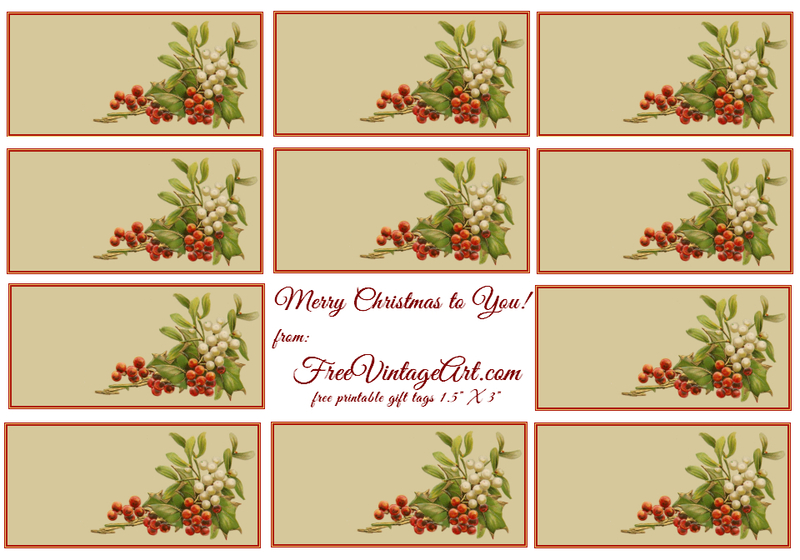 A frame and some holly from vintage Christmas cards transform into printable gift tags. 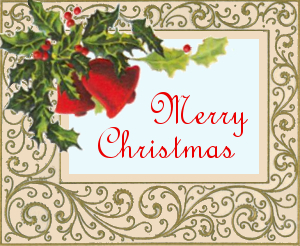 Sprigs of holly and mistletoe from a Victorian-era postcard adorn these printable Christmas tags from FreeVintageArt.com. They measure 3 x 1.5 inches. 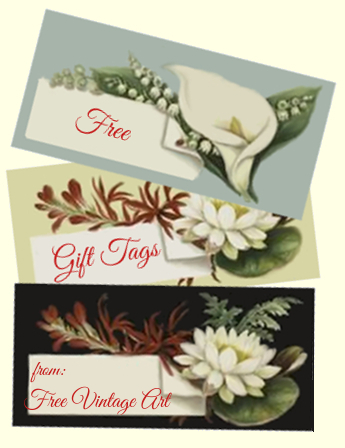 6 of 14 total vintage floral gift tags. They all have flowers and there are 3 versions of each tag in this set. 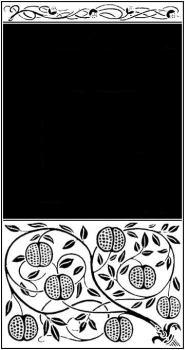 Uniformly resized to 3 X 1.5 inches. Today, we’re sharing with you a wonderful 100 year old vintage rose frame in the original black and white version along with blue and red versions. 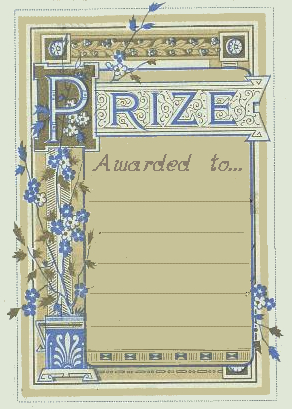 Vintage prize label and book plate offered in the original colors as well as several variations. Free printable vintage tags made from a frame that was used in a vintage book. Use the original black and white or any of the ones we have colorized for you.